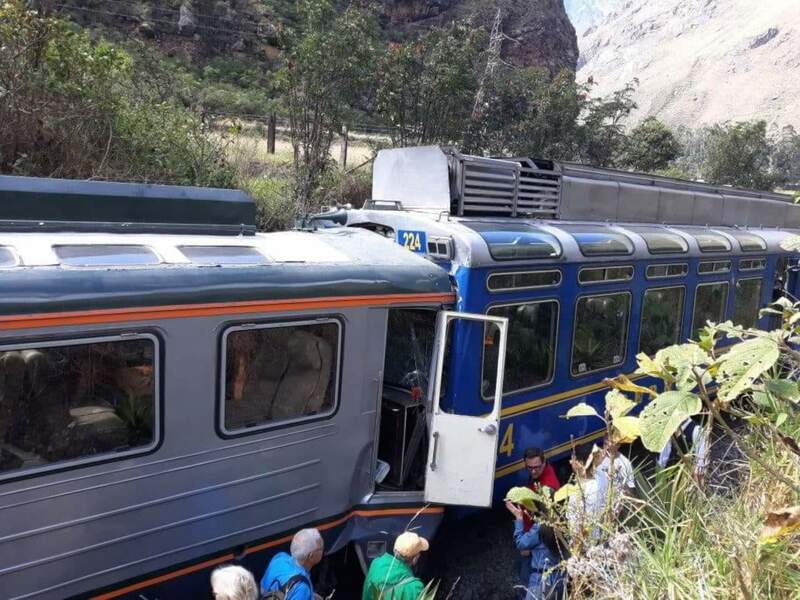 LIMA - Two passenger trains crashed near the popular Peruvian tourist destination of Machu Picchu on Tuesday, injuring 10 people, five of them seriously, authorities said. The collision happened when trains from two of the largest Machu Picchu transport operators collided several miles from the old Inca citadel. 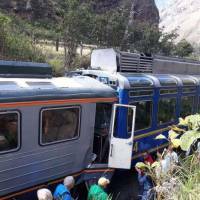 Images posted on social media showed a train from Inca Rail and another from PeruRail pressed up against each other on a rail track. Broken glass could be seen behind one set of seats. Other videos and photographs showed tourists with backpacks making calls on cellphones and sitting on the ground beside the trains. Officials said five passengers had serious injuries and 10 in total were taken to a clinic outside Cuzco. A statement from Inca Rail said one of the injured passengers was Chilean but there was no additional information on nationalities. One witness told RPP News that one of the trains had stopped because of a protest in the area. Machu Picchu is a UNESCO World Heritage site visited by thousands from throughout the globe each year.